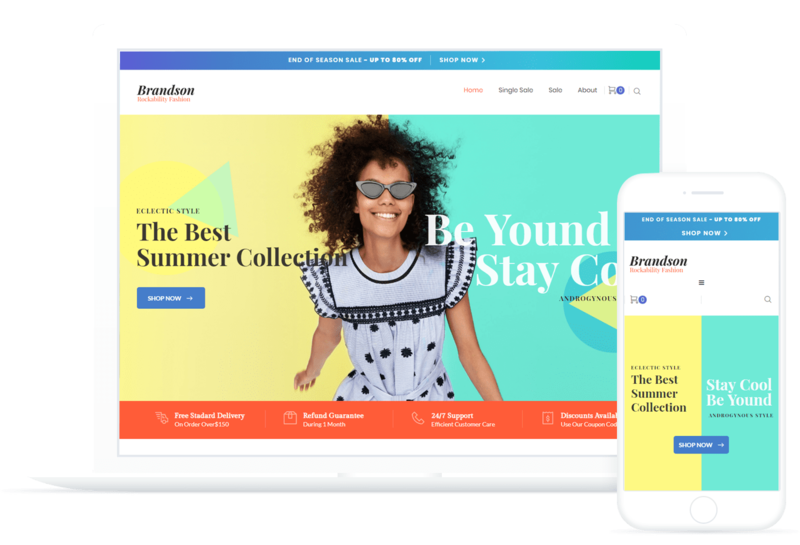 Brandson Responsive Fashion Store Elementor Template is ideal for clothing shops, accessory stores, furniture stores and lookbooks. This Fashion Store WordPress Template is ready to be a fully functional online store with fashionable design and attractive content with focus on products. This skin with well-structured layout and powerful functionality is user-friendly and will make your online store more competitive and profitable.